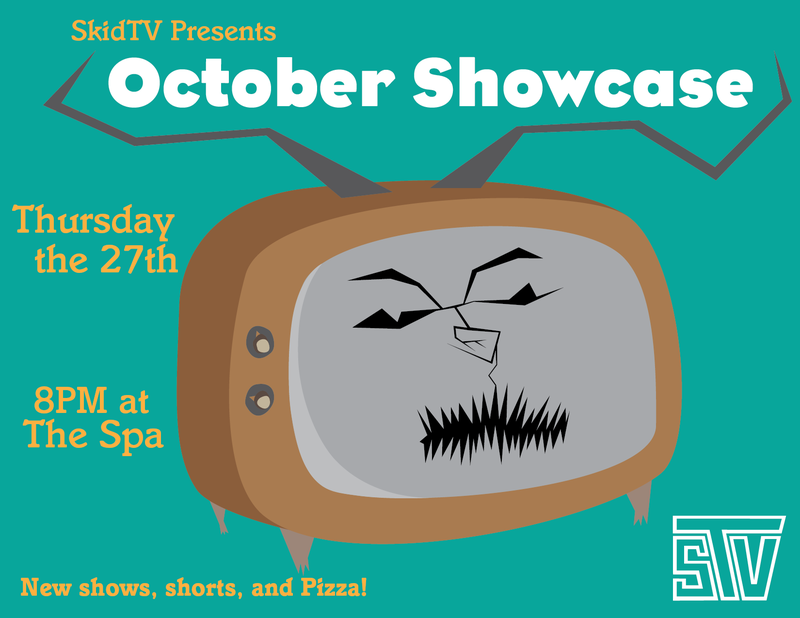 SkidTV’s second showcase is coming up this Thursday at 8:00pm in the Spa. 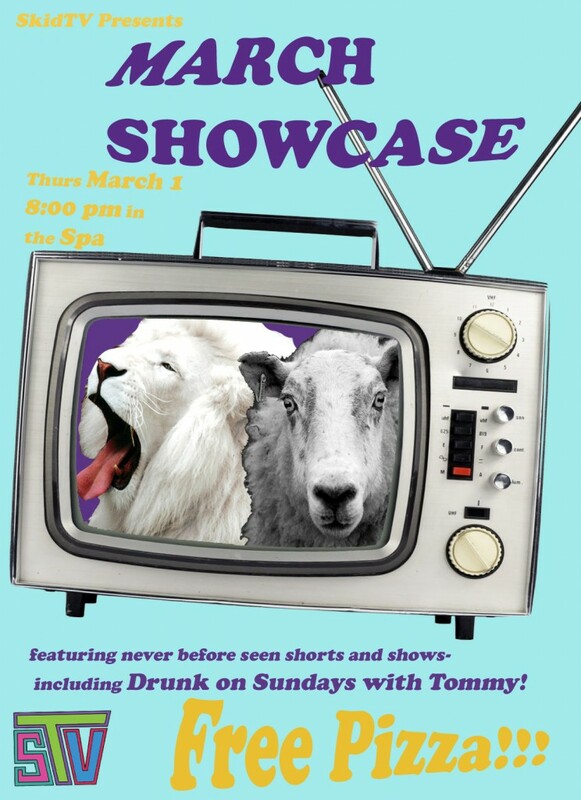 This showcase will include episodes of Amateur Chef, Drunk on Sundays with Tommy, and several other student productions. Submissions ARE welcome! Tomorrow night, SkidTV will be holding their first in a monthly series of showcases. The event will be a viewing of the projects that many members of the club have been working on, including several sketches and clips from new upcoming TV shows. They will even be premiering a never-before-seen clip from the work-in-progress fourth episode of Sexiled! If that isn’t enough to get you down to the showcase……… they will also have pizza. I’d also like to quickly remind our readers that if you want to make sketches or shorts or TV shows you are by all means welcome to join SkidTV and use the equipment and creative resources provided there to produce your projects, and then premiere them at the next showcase. SkidTV meets at 9pm on Tuesdays in Media Services. Skidmore News will have its first open, general meeting of the Spring semester Monday evening at 9:15pm in the SkidNews news room. The paper begins the semester under the new leadership of Editors-in-Chief Andrew Cantor ’11 and Rebecca Orbach ’13 and seems poised to continue the upward trajectory of the past semester. Students interested in writing for the paper on a weekly or more intermittent basis are welcome to attend Monday’s meeting and eat FREE PIZZA. More information on thefacebook. I live around the corner from Nunzio’s store and it is a pretty weird place. They sell organic pasta sauce and potatoes by the pound but never have milk for my coffee and once I went there and got a delicious eggplant parmagiana but it took them like 40 minutes to make. Also they harshed my mellow when I asked if they sold cigarettes. Whatever. Nunzio’s recently topped Pope’s and Cusato’s to advance into the semi-finals of the All Over Albany 2010 Tournament of Pizza and they will be outside the Skidshop tonight from 5-7pm giving away free stuff.